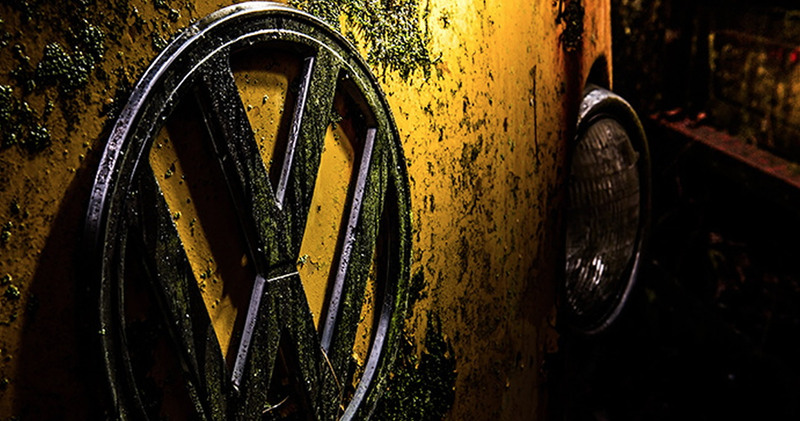 How will the VW emissions scandal affect the supply chain? How will the VW emissions scandal affect the automotive supply chain? Unless you’ve been living in Lechuguilla Cave (the most remote cave in the world, and yes I had to Google it) for the past week and forgot to take your iPad, you’ve probably heard the news about Vokswagen’s emissions scandal. Volkswagen has confirmed that it has used emission-control software on diesel models, meaning they violate the clean air rules. Volkswagen has apologized (twice, once by video too), face 10-figure fines and have had to set aside $7.3bn to fix the problem. To top this PR nightmare off, their Chief Executive Martin Winterkorn has resigned, succumbing to pressure for change at Volkswagen. I like Volkswagen. I always have. In fact, I’m even thinking of buying a camper van just because I think they’re cool. But this scandal will drastically affect their reputation, even amongst die-hard fans. With the largest automotive company in the world sneezing, their supply chain is set to catch a monumental cold. But how exactly will the industry be affected? In the US, Volkswagen has already halted sales of vehicles equipped with the affected engines, which could be as high as 23% of all Volkswagen vehicles sold. At the moment, it’s the States who are taking action, with no immediate threat of recall in the rest of the world. If a mass, worldwide recall does happen, it will send shockwaves throughout Volkswagen’s supply chain. Virtually overnight, Volkswagen’s parts suppliers could have nobody to supply. And, as part of the ripple effect, their parts suppliers’ suppliers will be in the same boat. This will affect a wide range of companies including tire manufacturers, electrical components distributors, motor factors and even metal finishers. Volkswagen is a global company, with vehicles being made in all corners of the globe; from India to China, and Brazil to Japan, to the obvious countries like America, UK and Germany. These locations mean that local suppliers will be hit, especially as a Volkswagen factory may contribute to the large majority of a local economy; in São Bernado do Campo in Brazil, for example, Volkswagen employ thousands of people, most of whom live in a VW-centric community incredibly close to the factory. Now think about those local automotive suppliers who probably have one contract, also employing thousands more. The global suppliers aren’t safe either, as lower demand will affect them in just the same way. The Volkswagen crisis has sparked fears that hundreds of thousands of British and American cars could be flouting emissions controls laws. Obvious questions are now arising such as how does this affect me personally? Do I have to take any action? Will my car be taken off me? Not questions you want your loyal customers to be asking. It’s not just the end users either. Andy Bruce, Chief Executive of Lookers, a large independent dealer in the UK, has said, “We’ve made the decision not to buy any cars from the affected ranges.” A bit of a kick in the teeth for Volkswagen as Lookers have 130 outlets across the UK. The next step is to see if Volkswagen can regain the trust of their customers, and they need to do it fast. We all know size matters in certain areas but in the case of Volkswagen small suppliers will be affected just as much as the larger enterprises. Independent automotive suppliers usually have one or two main contracts to supply the large carmakers, which can account for up to 80% of their turnover. With demand suddenly decreased overnight, it’s difficult to see how small automotive suppliers can continue to survive. The same is true for larger suppliers. Take catalyst manufacturer Johnson Matthey’s for example. Following the news of Volkswagen’s scandal, their share price has taken a massive pounding; 60% of the company’s £3.1 billion annual revenue comes from its emissions control technology unit. The same is true of GKN, who manufacture power train components that are used in about one out of every two cars built worldwide. GKN’s shares have tumbled in exactly the same way as Johnson Matthey’s, as investors reacted quickly to the scandal. Unfortunately for GKN, 15% of the power trains that they produce are for Volkswagen, equating to £1.8bn of annual sales. Just a 10% fall in Volkswagen’s sales will mean GKN’s annual sales would take a £40m hit, which would grow significantly if other carmakers are found to be doing the same (where there’s a good chance they will be). 5. Is there a positive side? I know that the rest of this article makes me seem about as upbeat and positive as some kind of Eeyore and Droopy love child, but I do actually think that there could be a positive side to the Volkswagen scandal. Catalyst manufacturers may now have higher demand for more complex units due to tighter regulations. Furthermore, independent dealers who never had a chance of winning a contract with a global carmaker may now have an opportunity as they will be re-evaluating their suppliers and looking for viable alternatives. People love their cars too, so I doubt the demand for new cars will drop; it will just mean that people will buy a Ford or a Chevrolet instead of a Volkswagen, resulting in increased demand to their component suppliers. Big Data is fast becoming the automotive suppliers’ best friend. 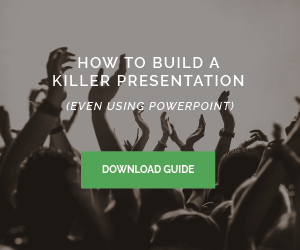 Find out why in this free eBook.